fascinatingfoodworld: Hummus with Fresh Salsa! It is hot and we all are waiting for showers to arrive. That beautiful smell when raindrops fall on earth, I need not say more! But it looks like it's going to be a while before we will be blessed with rain. 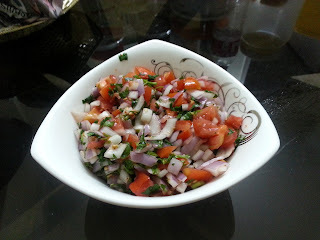 So here I am again unleashing one more quick and refreshing recipe to relish in this heat. Lebanese food celebrates use of garlic, olive oil, fresh herbs, lemon juice. 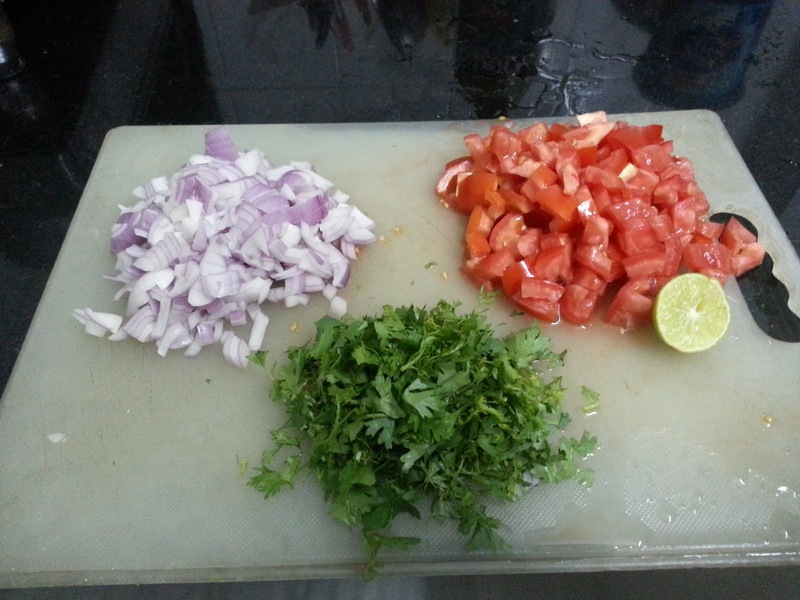 Food is mostly sautéed, baked or grilled. 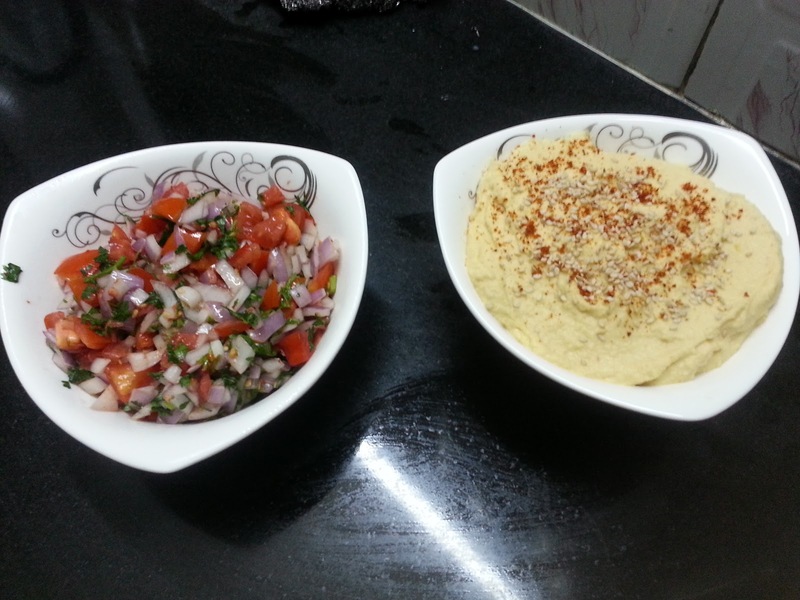 Hummus, Falafels, Tabbouleh salad, Baba ghanoush ( grilled eggplant dip) are some of the most common dishes. 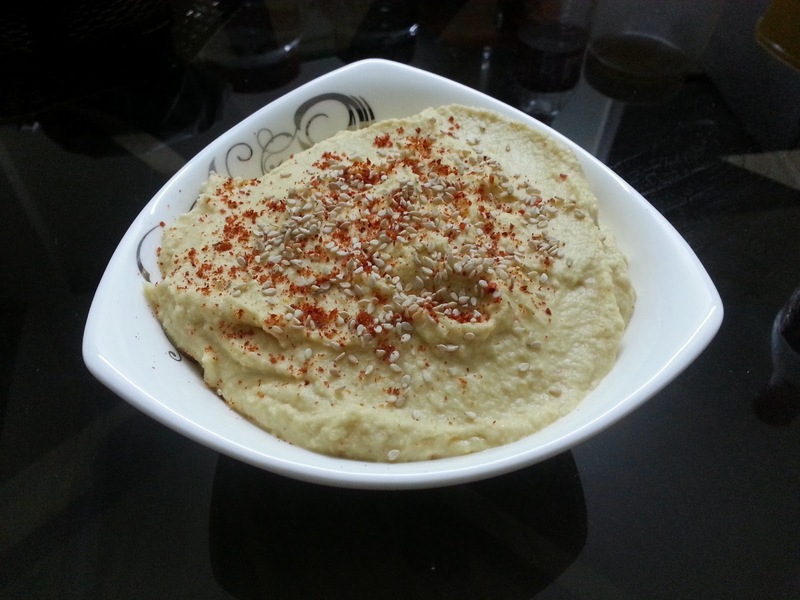 Hummus is a dip or spread made with boiled chickpeas and is usually eaten with pita bread but you can eat it with any other kind of bread too. 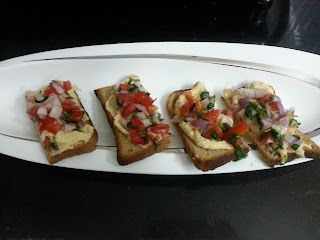 It is also served as an accompaniment to falafel wraps. 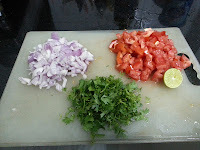 Garnishes to go with it normally include tomato,onion and lot of fresh coriander. I usually make it and store (lasts for about 5 days in fridge) and eat practically everything with it, whether its khakhara, strips of vegetables, sautéed paneer, in veg wraps. 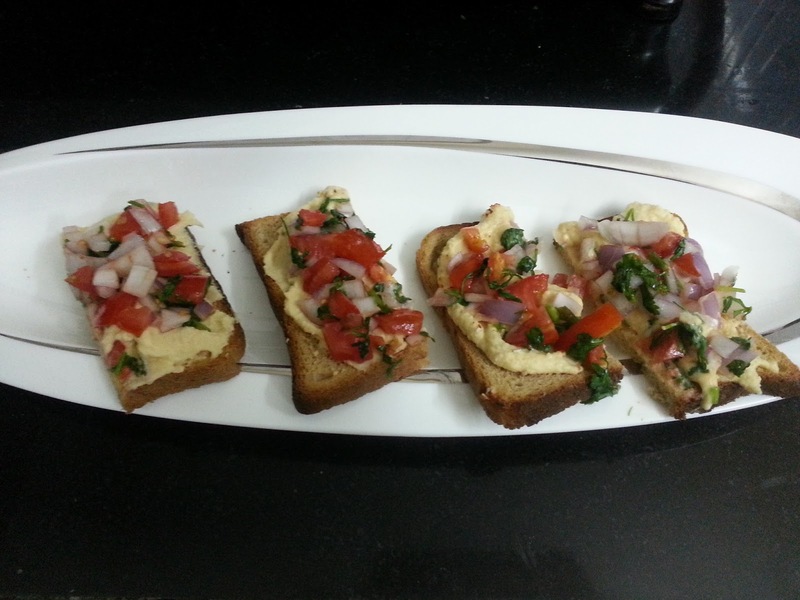 I absolutely adore having fresh brown bread toast smeared with hummus and topped with salsa. All my friends love it. When you dig into it, you experience amazing celebration in your mouth. It hardly needs any preparation. Hummus will be an instant hit among your friends when you call them over for dinner because its a complete meal in itself. 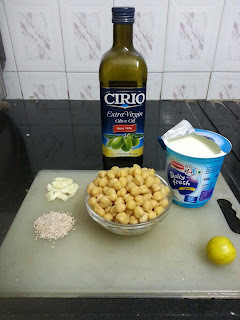 Combine all the ingredients together and refrigerate for atleast 1/2 hour. Always remember to keep tasting your food when you are making it. We all have different taste buds so adjust seasonings accordingly!